On July 18,2011 the Alan Watt family from near Edinburgh Scotland visited the WHOA preserve. 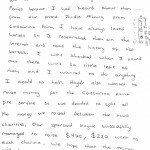 The Watts are building a retirement home in Casuarina, and while Kimberly and Haydn were researching the Abacos, they both found points of interest that they wanted to help. 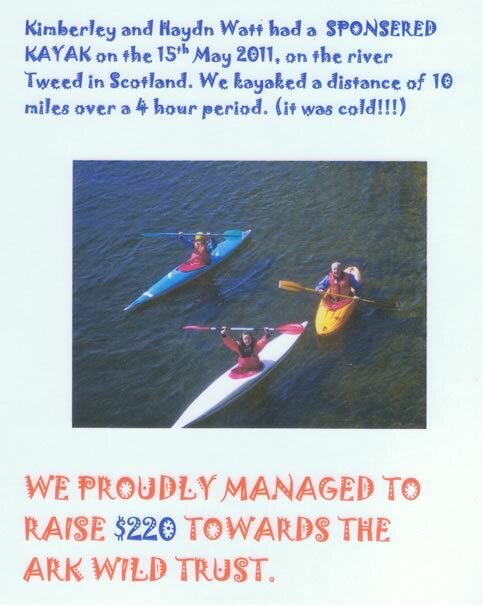 So their father Alan organized and sponsored a kayak trip, 10 miles down the river Tweed. A chilly endeavor at best. 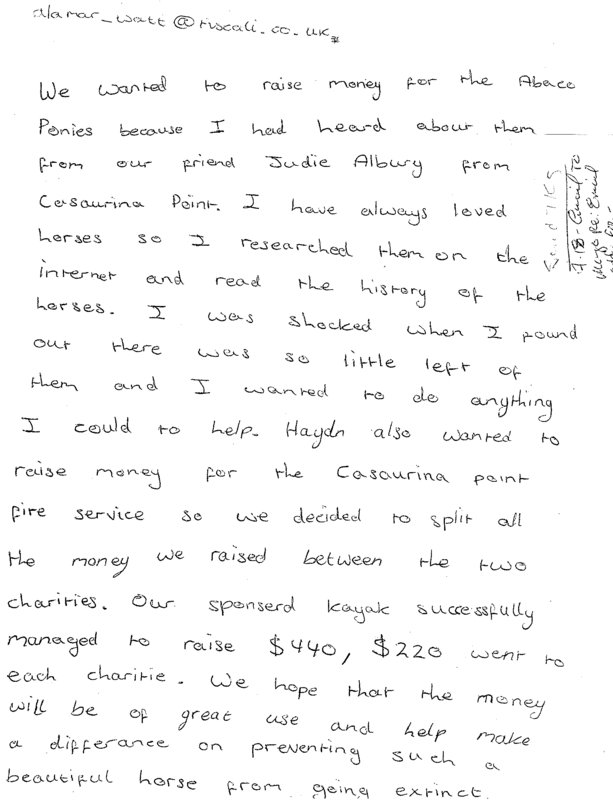 Kimberly and Haydn raised a total of $440, with the money split between the Marsh Harbor Volunteer Fire Dept. and the Wild Horses Of Abaco. Mr. Watts expressed an interest in becoming a volunteer one the family is spending more time in Abaco.